MDS Bookkeeping - outsourced business management services in Salford & Manchester. 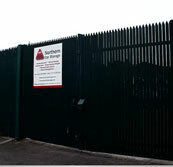 Secure Car Storage, Car & Van Hire, Chelmsford, Brentwood, Thurrock Lakeside, Essex. Car Servicing & MOT, Wigan, Bolton, Manchester. BMW & Mercedes Sales, Huddersfield, Yorkshire. Insurance Services.